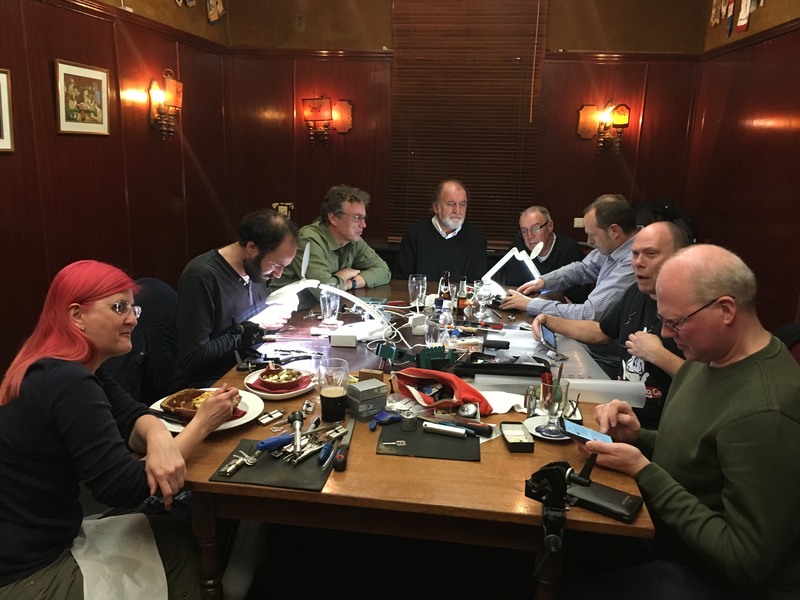 We are busy with the preparations for LockCon 2018, taking place September 28-30 in Baarlo, Netherlands. We are almost sold out (i.e. all the rooms at the venue being occupied). There are a few left, prefeably for people sharing rooms. There is also the option to have tents or RV’s on the premises, but we would rather stick to regular rooms. The BBC will be present to do some filming. 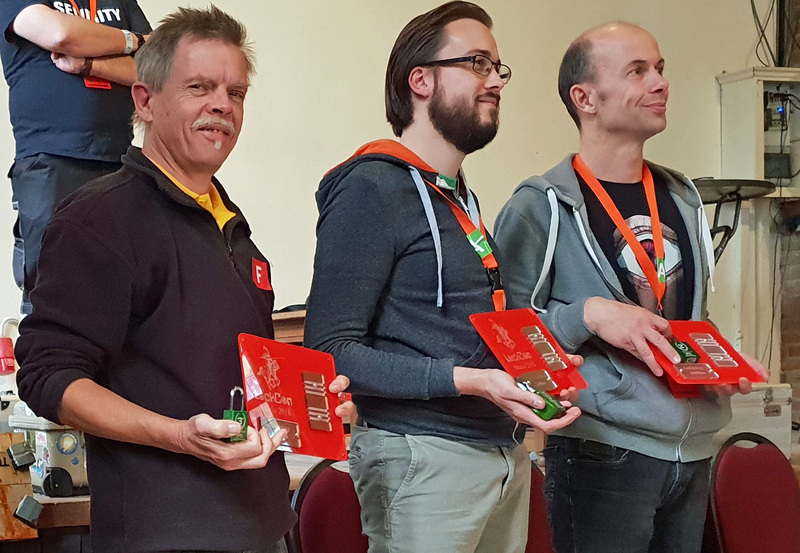 We will have championships in lockpicking, lever lockping and impressioning. And of course a full program with lectures and workshops. 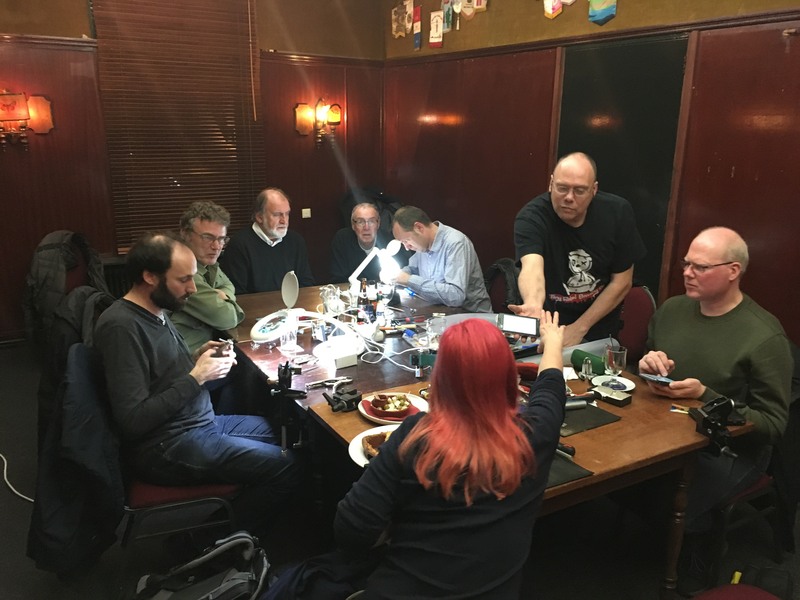 At the regular Toool meeting in Eindhoven, we decided to spend the evening improving our skills in impressioning. 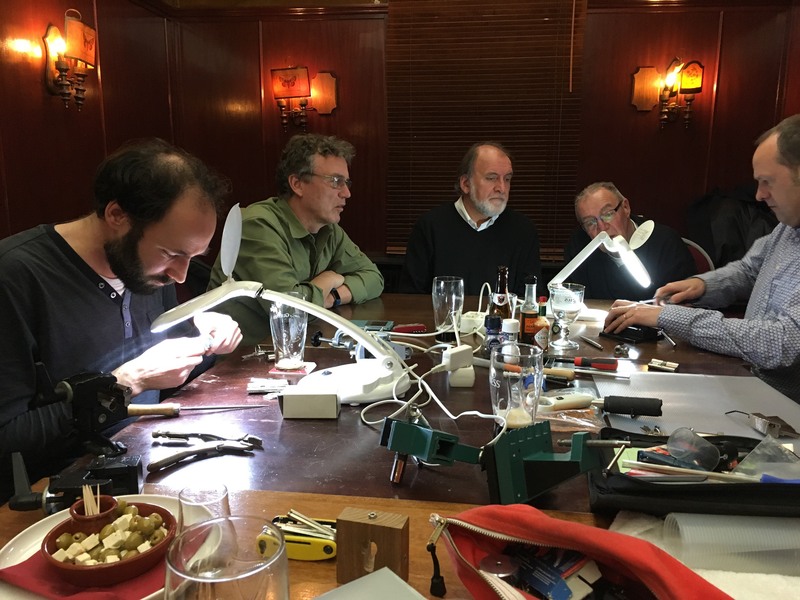 We filed some keys, exchanges some tips and generally learned a lot. While doing a presentation at Def.camp conference, I learned about a ‘hack the ATM’ event. Looking at the machine, I realised the locks seemed the easiest entry point. I took out my lockpicking gear and within a minute both locks on the machine were open. The organisation later told me the rule was not to use physical access, but the Romanian TV had already picked it up, see https://www.libertatea.ro/ultima-ora/au-spart-un-bancomat-intr-un-minut-cei-mai-buni-hackeri-din-lume-sunt-zilele-aceasta-la-bucuresti-2034386. To be honest: normally the bottom part has a safe lock as well, but it was not used in this case. A while ago, we had the Dutch national TV at one of our meetings. A guy named ‘Klaas’ makes a show in which he says he can do anything. His challenge this time: to crack a safe. The show consists of three parts. In the first, Klaas meets up with Jos to learn lockpicking, only to find out it is a bit hard to do quickly. Then, he tries the brute force method, which is also not very practical. In the end, he resorts to a robo-dialler and manages to open the safe. As we already said, LockCon preparations are in full swing. October 20~22 we will gather in Baarlo, the Netherlands, in a medieval castle. We can now tell you that one of the speakers will be Tim Jenkin. Tim was jailed for distributing ANC flyers in South Africa in the 1970s. He was caught and jailed. In jail, he and his friends learned to pick the locks in the prison. There were more than 10 that he needed to open, but in the end, he succeeded. For the first time, Tim will give a presentation about all the details of how the locks were opened. We are thrilled to have Tim! If you haven’t registered yet, do so while it is still possible. 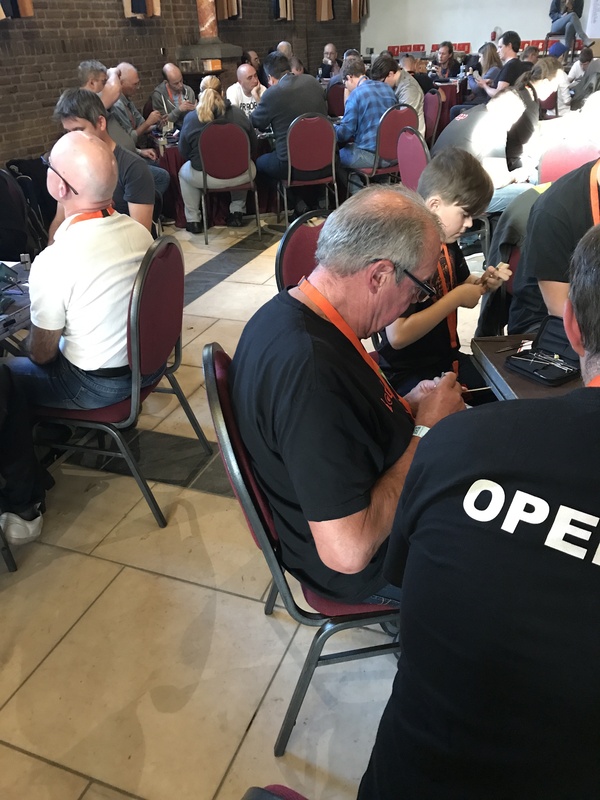 LockCon is invite only, but every year we reserve a few places for people who are not invited. 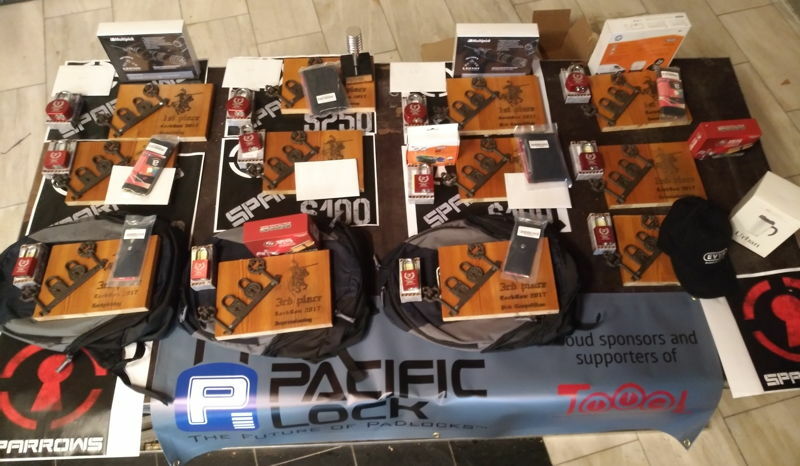 If you want to be at LockCon, but did not get an invite, send your motivation to us. The SHA2017 hacker conference has just ended. This is the 4-yearly conference in the Netherlands. This time, 4000 hackers were attending. If you are interested in this sort of thing, take a look at https://media.ccc.de/c/SHA2017, where you will find all the talks. Entries (RSS) and Comments (RSS). 43 queries. 1.178 seconds.